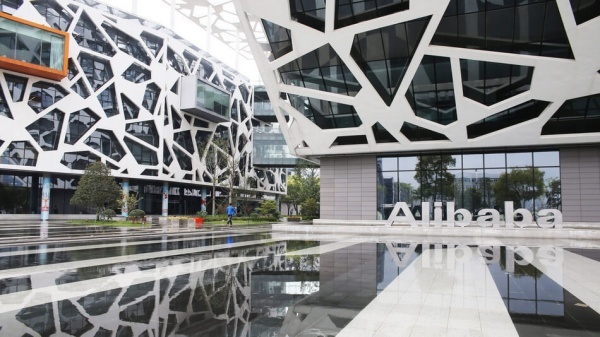 Lazada Malaysia is sending five of its top performing sellers to Alibaba's campus in Hangzhou, China. They join a delegation of 34 Lazada sellers. Led by Lazada Group, the visit will take place from 23 to 25 February 2017. Highlights from the 3-day visit to Hangzhou, include a rare opportunity to hear from Jing Jie, Vice President of Strategic Partnership Development, Alibaba Group and Aimone Ripa di Meana, Chief Marketplace Officer, Lazada Group, to gain insights on the eCommerce landscape development and best-practices of online selling. The delegates will also have the chance to visit and network with other successful sellers such as Semir from Alibaba's Tmall platform as well as attend two training sessions on "Operations and Assortment Planning for Singles Day" and "Online Customer Management" conducted by Taobao University. Apart from Malaysia, the sellers mainly originate from Indonesia, Singapore, Philippines, Thailand and Vietnam; markets that Lazada operate in. These sellers have worked closely with Lazada throughout the Online Revolution 2016 event, and have emerged the top in their respective product categories, such as fashion, electronics, and other fast-moving consumer goods (FMCG) categories. These top performing sellers have experienced strong uplift in their sales during the month-long Online Revolution sale. In addition to their exceptional performance during the 2016 Online Revolution shopping event, these sellers have also offered great value to shoppers with their deals, efficient product dispatches as well as achieving minimal number of returns and cancellations on their products. Mr Hans-Peter Ressel, Chief Executive Officer, Lazada Malaysia said, "Lazada Malaysia is not just a leading online shopping platform, but we are also Malaysia's top selling eCommerce marketplace. With our 5th Birthday campaign happening soon from 22 March to 24 March, we know this opportunity will allow our top performing merchants to gain valuable insight and knowledge, while upping their sales profit during those peak period." "We have over 11,000 local and international merchants in our ecosystem, and we aim to equip and grow our merchants as entrepreneurs by providing them with the necessary skill and expertise, which will enable them to attain better success with Lazada. The trip is structured as such to ensure our sellers can hear and learn from other successful examples, and scale their businesses in the future," added Ressel. Surenther Kulanthipiya, 24, one of the top performing seller who will be heading to China, says, "It was a huge step for me when I decided to bring my business online. I am excited to be part of the trip to see what new opportunities the trip to Alibaba and Hangzhou will bring. The knowledge and information I can gain will be very useful to take my business to the next level. During last year's Online Revolution 2016 campaign, we successfully increased our business profit by 10 times. Next, we are looking forward to the 5th Birthday campaign and we're striving to break our own profit record!" In addition to learning opportunities overseas, Lazada offers sellers a comprehensive suite of tools and solutions to make their online business a success. The seller centre for instance gives sellers a comprehensive overview of their business with Lazada. It is also a mobile platform for sellers to manage their business on-the-go. Sellers also receive a weekly performance report from Lazada with details on areas they can improve on for better sales.